This week is National Hereditary Breast and Ovarian Cancer (HBOC) Week. I am pleased and honored to share with you, my dear readers, an important guest post by Sue Friedman, executive director of FORCE (Facing Our Risk of Cancer Empowered). Thank you, Sue, for sharing this important information at Nancy’s Point because as is said repeatedly on FORCE’S website, no one should face hereditary cancer alone. Feel free to leave questions or comments for Sue. This week marks national Hereditary Breast and Ovarian Cancer (HBOC) Week. We at FORCE hope this week long awareness campaign will reach people who most likely will not consider their risk for cancer during any other time of the year. I was diagnosed with hereditary cancer – out of the blue – at age 33. Only after treatment and a recurrence of my breast cancer did I learn that I carry a BRCA genetic mutation that significantly increases my lifetime risk for breast, ovarian, and several other cancers. Like many people who carry such cancer-causing gene mutations, I didn’t have a strong family history of cancer. Nonetheless, there were some factors in my background that should have been red flags to my health care team, putting them on alert to the possibility that I might carry a BRCA mutation. Had I known at the time about hereditary cancer and genetic testing, I would have been more proactive about pursuing testing, and – given the results I didn’t yet have – may have made different medical decisions prior to, or after my initial cancer diagnosis. Unfortunately, I didn’t have that opportunity. The decision to undergo genetic testing is a personal one, and there are many valid reasons why a person may choose not to move forward with genetic testing after receiving all the facts. But too many people still lack important, relevant information or mistakenly believe it doesn’t apply to them; losing a potentially life-saving opportunity to be proactive about their own health. So even if you don’t think it applies to you, please read this blog in its entirety; learn more by clicking on the links below, share with your family, friends, and social network, and discuss it with your health care providers. These eight facts about hereditary cancer and genetic testing have the potential to save your life or the life of someone you love. 1. Genetic mutations linked to an increased risk of cancer (such as BRCA, PALB-2, ATM, PTEN, CHEK2, genes associated with Lynch Syndrome, and many others) are found in people of every race and ethnicity. 2. Although we hear a lot about hereditary breast and ovarian cancer, genetic mutations can be linked to many other types of cancer including colon, uterine, pancreatic, prostate, and melanoma. Rare cancers, young-onset cancers, and multiple cancers in one individual also may be associated with inherited mutations. 3. Both women and men can inherit cancer-causing gene mutations, and both men and women can pass such mutations to daughters and sons. 4. A family history of cancer is not necessary in order to undergo BRCA or other genetic testing. The more relatives within a family who have been diagnosed with cancer, the higher the chance of an inherited genetic mutation in that family. However, just one case of ovarian cancer at any age, breast cancer before age 50, triple-negative breast cancer, or pancreatic cancer in a family may be sufficient criteria for genetic counseling. 5. Genetic counselors are health care experts with advanced, specialized training in genetics, risk assessment, and disease risk management. It is important for individuals to consult with a genetics professionals to determine if genetic testing is an appropriate option for them and/or family members. 6. Most insurance companies cover the cost of genetic counseling and testing for people who meet national guidelines. Low-cost testing options and financial assistance programs are available to those who meet certain criteria. 7. People with increased lifetime risk for cancer have access to more and different medical options than people at average risk. Risk management options include increased screening, medication to lower risk, and risk-reducing surgery. The ways in which individuals choose to manage these risks are personal, and there are no right or wrong answers. 8. Genetic testing for people already diagnosed with cancer may change their treatment options. For example, a new targeted therapy, Lynparza, has been FDA-approved to treat women with ovarian cancer who have tested positive for a BRCA mutation and have already received at least three courses of chemotherapy. Genetic test results may also provide access to research clinical trials. Targeted therapies are being studied in other hereditary cancer settings as well. If you or a family member has been diagnosed with cancer, visit the FORCE website to help determine if the disease may be linked to a genetic mutation, and to access useful information, resources and guidance, including a toll-free helpline, local support groups around the country, our hereditary cancer clinical research search tool, and an active message board community. 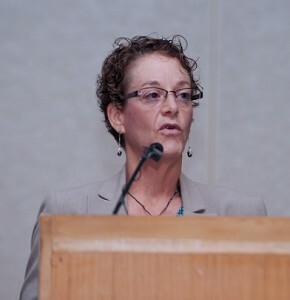 Sue Friedman is the Executive Director of Facing Our Risk of Cancer Empowered (FORCE). A veterinarian by trade, Sue founded FORCE in 1999 after being diagnosed with breast cancer at age 33 and learning she had a BRCA 2 mutation. In 2003 she gave up her veterinary career to become the full-time Executive Director of FORCE. Have you ever wondered about your family’s hereditary risk for cancer? Do you know your family’s medical history? Do you have any comments or questions for Sue about FORCE? Nancy, I have wondered about my family history of cancers since I was a teen (when I lost my grandma to ovarian cancer, at age 67). I was not educated about genetic testing. There was also very limited options regarding these tests back in the 1990’s. Doctors didn’t talk about it, at least not to me. When I was dx with bc, the first thing I did was go for genetic counseling, especially because my family (from the DR) don’t have the same resources I have. I was too young to get cancer so I knew something was up! I was also the FIRST person to be diagnosed below the age of 40 in my family (YAY me!). As you know I have the ATM gene which I got from my mother. My mother’s side of the family is the one with the cancer history. No cancer history from my father’s side of the family, only heart disease. I know most of my family history because I’ve made it a goal to find out as much information as possible and to get educated. (Not everyone in my family wants to know.) The more I know the better. I would love to learn more about FORCE so I’ll make sure to check out those links. Thank you for sharing! Rebecca, I’m sorry there is so much cancer history in your family, but I’m glad you have a lot of information now to help you keep making the best informed decisions possible. You should check out the FORCE site. It is not just for BRCA people. There is lots of useful info there. Thank you for sharing and I’m sorry about your grandma. Thank you, Sue and Nancy! With respect to item #6, I was told that my insurer would cover BRCA testing only if I had a first-degree relative with an HBOC-syndrome cancer. I submitted a memo to my oncologist stating that I have neither siblings nor children, which made my parents my only first-degree relatives (as I put it, I had a “lack of data points”). 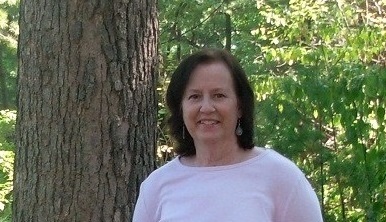 I knew of two HBOC-syndrome cancers on my father’s side, to which my breast cancer is now added. Furthermore, I am Ashkenazi. My claim was under review for longer than usual, but my insurer ultimately covered the test. (Fortunately, I tested negative for mutations.) I would encourage people in a similar situation to submit a memo proactively, with specific reasons for wanting genetic testing done. Elissa, That is excellent advice. Thank you. I went to my OB-GYN office for my annual December 2014, and filled out the paper work as normal. I have always talked about Cancer in my family on both sides with no big deal. For some reason, I was given the BRCA test, and still thought nothing about it. The test was a simple mouth wash test! When I turned 20 I became proactive with my health dealing with cancer, because of my family history. January 8th I received the call my tested came back positive for BRCA 2. I was clueless to what it meant to be BRCA 2.I do not have cancer, but I carry a gene that at sometime can turn into cancer. I have hit the ground running. I had a hysterectomy June 20, 2014 and I am 6 weeks out from having a full mastectomy. I am black and 49 years old, which surprised me to know mutation starts at age 50. I am trying to learn as much as I can and share just as much with women of color as I can. I am also looking for a a mentor who is willing to share, walk alongside me, and help me get the word out. Valerie, I’m glad you had the test and that you are being proactive. Good for you. Good luck with your upcoming mastectomy. Hoping all goes smoothly for you. Thank you for reading and sharing. Thank you, Sue, for writing this. I’m going to share it today. Like Elissa, I was told that genetic testing was not recommended for me & would not be covered by insurance because I did not have a first-degree relative who’d had cancer. This was despite my own breast cancer diagnosis, and the fact that I had relatives on my mother’s side — an aunt with ovarian cancer, a female cousin who died of colon cancer, her father who died of melanoma. Thanks for all you do to shine a light on BRCA & hereditary cancers. Thank you Sue and Nancy for continuing to bring hereditary cancer to light. I did get genetic counseling, which said I didn’t have the BRCA mutations, but the geneticist had ordered an Ashkenazi panel because I am Jewish of Eastern European decent. I tested negative. Deep down inside I wonder if the Ashkenazi panel was enough….